Kabang has one of the more gruesome dog faces you'll ever see. The canine, a native of Zamboanga City in the Philippines, has only half a snout. Her tongue lolls impossibly out of her skull. Watching her attempt to eat a mound of rice is heartbreaking. But, according to Manila's GMA News, donors from around the world have pitched in enough cash ($20,000) to fly Kabang to the states for reconstructive facial surgery. The center where she'll be treated, the Veterinary Medical Teaching Hospital at University of California - Davis, is adept at cutting-edge dog jaw replacement. An American dog whose jaw was recently replaced by the center appears to be strutting around as if nothing ever happened. As the Philippine Inquirer explains, Kabang is something of a hero. The top half of her snout was ripped off by the wheels of a motorbike, which she reportedly intercepted to save two young girls. Just another inspiring tale of an uninsured street dog from the Philippines receiving expensive, state-of-the-art health care in America. This story originally appeared on Global Post and was written by Patrick Winn. 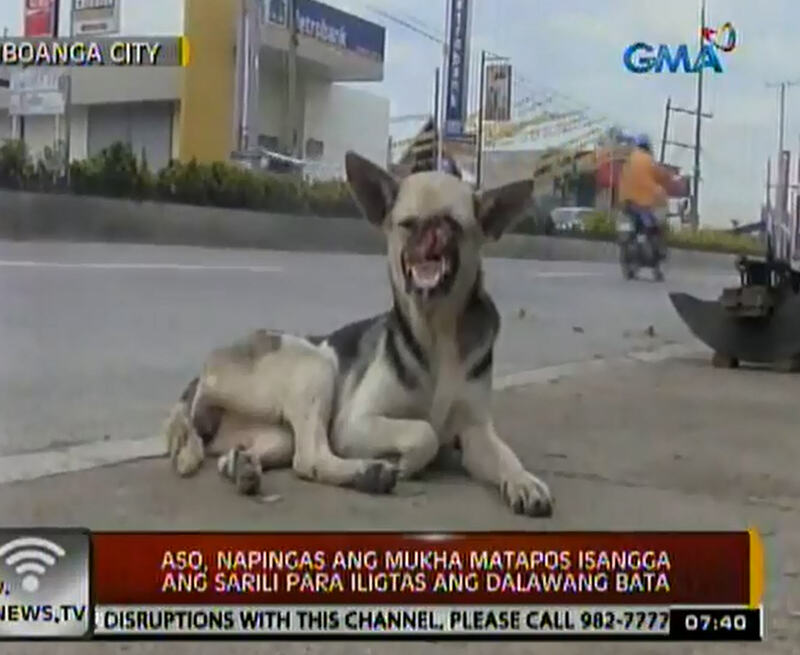 Below, watch a report in the Filipino language for more images of Kabang.